He’s one of the game’s emerging young stars, a player who feels right at home in his home away from home. After competing in his native Denmark up until the mid 2000’s, Lars Eller journeyed to Sweden, skating a total of five campaigns with Frolunda, 62 games that came in the country’s Elite League. Drafted 13th overall by St. Louis in 2007, the skilled centreman has played the past two campaigns with Montreal, coming to the Original Six team via a trade on June 17, 2010. 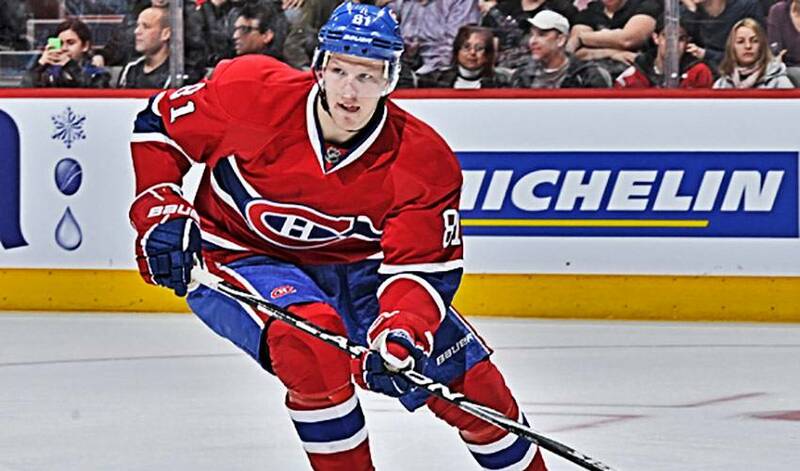 You really couldn’t ask for a better place to be,” said Eller, who had 16 goals in 79 games with Montreal in 2011-12. “The variety of things to do is amazing. But the one thing that really stands out is how much the people here love their hockey. At home, you can walk the streets and people don’t really notice you. Here, it’s different. And that’s not a bad thing, according to Eller. “To live in a city where people have so much passion and knowledge for the game, you feel very lucky,” said the 23-year-old. “Every person that I’ve met has been nice, respectful and polite. The fans are great. They will give you a word of encouragement or pat you on the back. As a player, it’s what you want. I never experienced anything like it before. Eller, who returned from Denmark to Montreal in mid-August, is one of a vast number of NHLPA members who have attended several Player CBA-based meetings prior to and after the league-imposed lockout. For the player who recorded four goals and an assist in a 7-3 victory against Winnipeg (his first career hat trick), being part of the process has been extremely beneficial. Communication between the NHLPA Director Don Fehr, the Executive Committee and the Players continues to be strong. Eller would love nothing more, though, than to be back out on the ice.